What do you see as some of the main issues youth ministry is struggling with today? I think often youth ministries are often healthier than the churches so you have the issue of kids living youth ministry and leaving the church. I think they often taste real community and then when they get in the real world they can’t find anything like they had in the past. I read somewhere if students don’t lead they’ll leave. I think if a student isn’t involved in leading or serving in some manner by their junior or senior year they will often begin to check out. There are exceptions of course but I think God has created each of us with gifts and when we use them our faith often grows. We are so stinking comfortable as a country. Reading books like Bruchko and The Heavenly Man almost makes me long for persecution to increase our faith and our hope in the resurrection. Churches and parents often want activities for their kids when they themselves are not modeling a genuine relationship with Jesus Christ. We need to believe in students and their ability to minister effectively to their peers. What do you see as some of the main issues youth ministry is responding to effectively? I think we have responded well to being real with kids and talking about some of the issues in a more genuine way than we did 10 years ago. Youth pastors are being much better trained in relational ministry as opposed to program ministry. In what ways does youth ministry need to change? Live for eternity and not this life. Buddy Rathmell is a youth worker missionary in Japan working with teenage American military dependents. 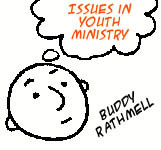 Find out more about him and his ministry at YouthBuddy.com.